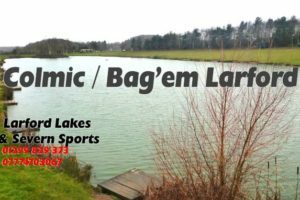 25 anglers fished this latest Classic Qualifier on the Specimen Lake, looking for a place in the May 2019 final. Conditions were mild and breezy. First was Steve Rocke (Larford) from peg 64 on the Chalet Bank. Steve caught on method and long pole to weigh in 109-09-00. Second on the day was Max G (Bag’em). Max fished on peg 19 on the Specimen Burr, Max caught on long pole and pellet weighing in 99-11-00. Third place was Chris Bradney (Larford) from peg 16. Chris caught on long pole and corn to weigh in 69-14-00. Fourth was Paul Cook (Frenzee) from peg 25. Paul weighed in 69-10-00 catching on method and pellet. Fifth was Neil Colcombe (Larford) from peg 67. Neil weighed in 64-09-00 on method and long pole. Sixth was Ray Lamb (Larford) from peg 74. Ray weighed in 58-03-00, catching on method.